Students enrolled in the agriculture science class at Buena Park High School have been busy planting and caring for winter vegetable and flower seeds and seedlings. 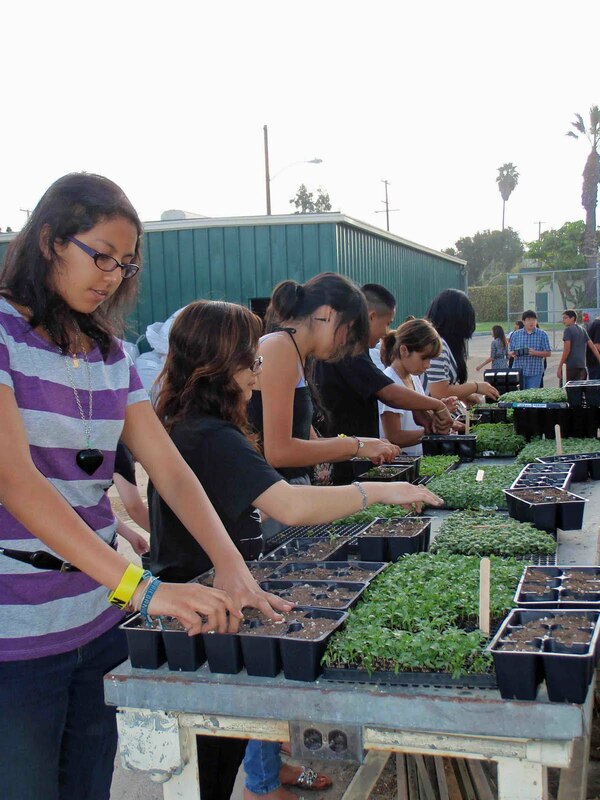 Eventually, students hope to sell the maturing plants at the student store and at the local farmers markets. At the beginning of the school year, each student received a tray of 250 seedlings along with packets of seeds to separate, plant and water three times a day. Winter vegetables grown from seeds include lettuce, celery, spinach, broccoli, onions, carrots, beets, cauliflower and cabbage as well as herbs such as cilantro, thyme, basil, mint, oregano and sage. Marigolds, snapdragons, begonias and petunias are being grown from seedlings. As the plants mature in the school's greenhouse, they are transplanted into an outside vegetable and flower garden. 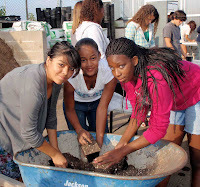 Agromin, a manufacturer of earth-friendly soil products and the corporate sponsor for the Buena Park High School's Future Farmers of America (FFA), provides organic compost for use in the planting and growing process. Mary Kerr, one of the class teachers, says "Agromin soil is completely free of weeds and other 'volunteer' plants that I've found in other soils." 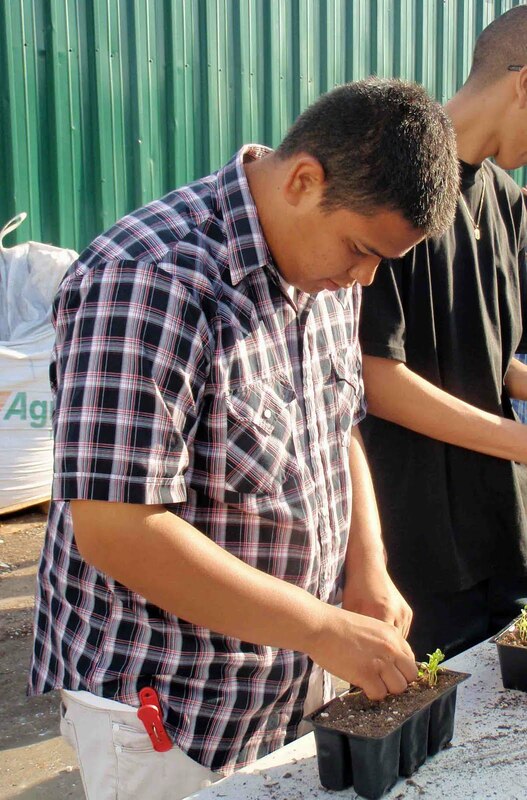 Rigo Torres, is a junior and a first-year ag student. "I like the idea of being able to see how plants grow into something that can be put on the table to eat," he says. Claudia Ubando, in her second year in the ag class, enjoys all aspects of the program. "Students must be very committed because we must tend to the plants before and after school and on weekends," says Ubando. Students hope to enter their prized vegetables and flowers in competitions and at the county fair. "Students have really taken to class," says Kerr. "There is something about caring for a seedling as it grows into a beautiful flower or vegetable that gives kids a sense of accomplishment. The program has hit its stride, with enrollment doubling this school year." Agromin soil products are made from Orange County organic green materials that have been naturally processed locally. They are available at Rainbow Disposal (17121 Nichols St., Huntington Beach, Gate 7, 714-847-3581), Lakewood Nursery (4114 Lincoln Avenue, Cypress, 562-596-8514) or online at http://www.agromin.com.